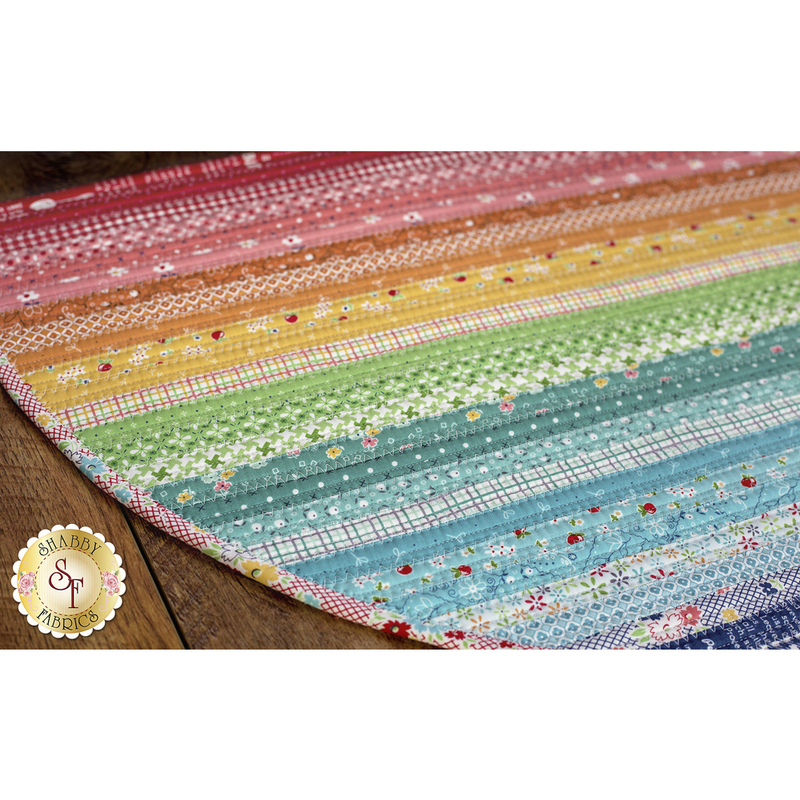 This Slice Rug with its delicate ditsy prints from the Farm Girl Vintage fabric collection by Lori Holt adds a wonderful spectrum of soft colors and timeless prints into your home. 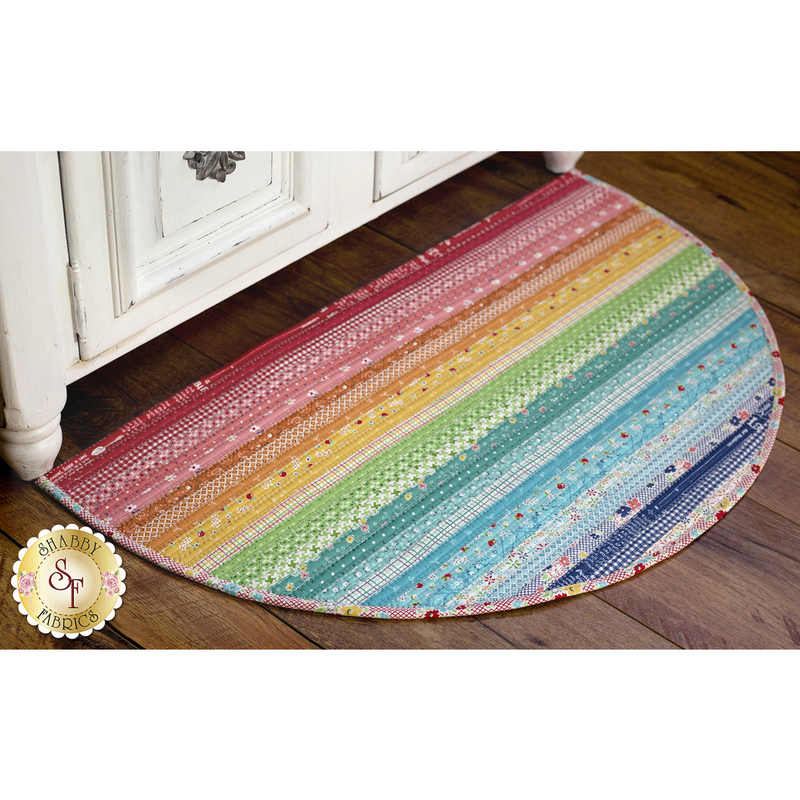 The finished rug fits perfectly in your kitchen, bathroom or entryway, and will hold up well in the wash! Makes a great housewarming gift too!